For the past couple of weeks, I had been living off of leftovers and hadn’t cooked anything, so I felt the urge to make something healthy and tasty. 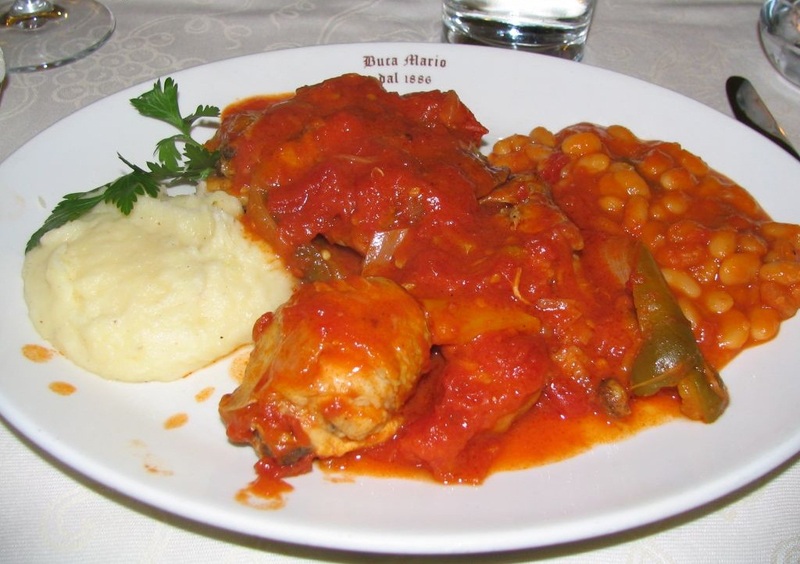 I had raw chicken thighs waiting for me in the fridge, and felt like eating something bright and acidic – perhaps something that involved tomatoes – so I decided on chicken cacciatore (the other dish under consideration was chicken picatta). Combine the chicken dry rub ingredients with the chicken, until coated, and let it marinate for at least an hour. Heat oil in a large pan or skillet and fry the chicken pieces until they are browned on all sides. Remove and set aside. In the same pan (after removing any charred bits), add the onion, garlic and bell pepper and saute until the onion is browned. Next, return the chicken to the pan, and add the tomatoes, oregano, wine and mushrooms. Cover and simmer for 30 minutes over medium low heat. Add the salt and pepper to taste. Simmer for another 10 minutes. -Friday, July 22, 2011: Served the chicken over rice, and ate with blanched rainbow chard. Delicious and healthy! This entry was posted in Italian, Main Dish, Recipes and tagged Bell Peppers, Chicken, Tomatoes. Bookmark the permalink.